We present an analysis of the thermal behavior of a high-energy kilowatt-average-power diode-pumped cryogenically cooled Yb:YAG active mirror laser amplifier based on measurements and simulations. Maps of the temperature distribution of the laser material at pump powers up to 1 kW were obtained for the first time by spatially and spectrally resolving the fluorescence induced by a scanning probe beam. The wavefront distortion resulting from the front surface deformation and the overall deformation of the gain medium assembly were measured using a Mach–Zehnder interferometer. The measured deformations agree well with the results of thermomechanical modeling using finite element method simulations, and with the results of focal length shift measurements. The relative contributions to the optical path difference (OPD) of the mechanical deformations, refractive index changes, and electronic contribution are discussed. We show that the Cr4+:YAG cladding plays a significant role in both the temperature distribution and the overall OPD changes. The pump-induced mechanical deformations of the assembly dominate the OPD changes in this kilowatt-average-pump-power cryogenically cooled Yb:YAG active mirror laser. W. P. Leemans, A. J. Gonsalves, H. S. Mao, K. Nakamura, C. Benedetti, C. B. Schroeder, C. Tóth, J. Daniels, D. E. Mittelberger, S. S. Bulanov, J. L. Vay, C. G. R. Geddes, and E. Esarey, “Multi-GeV electron beams from capillary-discharge-guided subpetawatt laser pulses in the self-trapping regime,” Phys. Rev. Lett. 113, 245002 (2014). L. Yin, H. Wang, B. A. Reagan, C. Baumgarten, E. Gullikson, M. Berrill, V. N. Shlyaptsev, and J. J. Rocca, “6.7-nm emission from Gd and Tb plasmas over a broad range of irradiation parameters using a single laser,” Phys. Rev. Appl. 6, 034009 (2016). A. Azhari, S. Sulaiman, and A. K. P. Rao, “A review on the application of peening processes for surface treatment,” IOP Conf. Ser. Mater. Sci. Eng. 114, 012002 (2016). W. R. Meier, A. M. Dunne, K. J. Kramer, S. Reyes, T. M. Anklam, and L. Team, “Fusion technology aspects of laser inertial fusion energy (LIFE),” Fusion Eng. Des. 89, 2489–2492 (2014). G. A. Slack and D. W. Oliver, “Thermal conductivity of garnets and phonon scattering by rare-Earth ions,” Phys. Rev. B 4, 592–609 (1971). R. L. Aggarwal, D. J. Ripin, J. R. Ochoa, and T. Y. Fan, “Measurement of thermo-optic properties of Y3Al5O12, Lu3Al5O12, YAlO3, LiYF4, BaY2F8, KGd(WO4)2, and KY(WO4)2 laser crystals in the 80–300 K temperature range,” J. Appl. Phys. 98, 103514 (2005). J. Dong, M. Bass, Y. Mao, P. Deng, and F. Gan, “Dependence of the Yb3+ emission cross section and lifetime on temperature and concentration in yttrium aluminum garnet,” J. Opt. Soc. Am. B 20, 1975–1979 (2003). D. C. Brown, R. L. Cone, Y. Sun, and R. W. Equal, “Yb:YAG absorption at ambient and cryogenic temperatures,” IEEE J. Sel. Top. Quantum Electron. 11, 604–612 (2005). C. Baumgarten, M. Pedicone, H. Bravo, H. Wang, L. Yin, C. S. Menoni, J. J. Rocca, and B. A. Reagan, “1 J, 0.5 kHz repetition rate picosecond laser,” Opt. Lett. 41, 3339–3342 (2016). B. A. Reagan, C. Baumgarten, E. Jankowska, H. Chi, H. Bravo, K. Dehne, M. Pedicone, L. Yin, H. Wang, C. S. Menoni, and J. J. Rocca, “Scaling diode-pumped, high energy picosecond lasers to kilowatt average powers,” High Power Laser Sci. Eng. 6, e11 (2018). P. Mason, M. Divoký, K. Ertel, J. Pilař, T. S. Butcher, M. Hanuš, S. Banerjee, J. Phillips, J. Smith, M. D. Vido, A. Lucianetti, C. Hernandez-Gomez, C. Edwards, T. Mocek, and J. Collier, “Kilowatt average power 100 J-level diode pumped solid state laser,” Optica 4, 438–439 (2017). S. Chénais, F. Druon, S. Forget, F. Balembois, and P. Georges, “On thermal effects in solid-state lasers: the case of ytterbium-doped materials,” Prog. Quantum Electron. 30, 89–153 (2006). D. Albach, G. LeTouzé, and J. Chanteloup, “Deformation of partially pumped active mirrors for high average-power diode-pumped solid-state lasers,” Opt. Express 19, 8413–8422 (2011). I. Tamer, S. Keppler, M. Hornung, J. Körner, J. Hein, and M. C. Kaluza, “Spatio-temporal characterization of pump-induced wavefront aberrations in Yb3+-doped materials,” Laser Photon. Rev. 12, 1700211 (2018). J. Körner, F. Yue, J. Hein, and M. C. Kaluza, “Spatially and temporally resolved temperature measurement in laser media,” Opt. Lett. 41, 2525–2528 (2016). K. Ertel, S. Banerjee, P. D. Mason, P. J. Phillips, M. Siebold, C. Hernandez-Gomez, and J. C. Collier, “Optimising the efficiency of pulsed diode pumped Yb:YAG laser amplifiers for ns pulse generation,” Opt. Express 19, 26610–26626 (2011). X. Fu, K. H. Hong, L. J. Chen, and F. X. Kärtner, “Performance scaling of high-power picosecond cryogenically cooled rod-type Yb:YAG multipass amplification,” J. Opt. Soc. Am. B 30, 2798–2809 (2013). 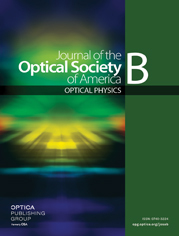 O. Slezak, A. Lucianetti, M. Divoky, M. Sawicka, and T. Mocek, “Optimization of wavefront distortions and thermal-stress induced birefringence in a cryogenically-cooled multislab laser amplifier,” IEEE J. Quantum Electron. 49, 960–966 (2013). H. Chi, K. A. Dehne, C. M. Baumgarten, H. Wang, L. Yin, B. A. Reagan, and J. J. Rocca, “In situ 3-D temperature mapping of high average power cryogenic laser amplifiers,” Opt. Express 26, 5240–5252 (2018). A. E. Siegman, “How to (maybe) measure laser beam quality,” in DPSS (Diode Pumped Solid State) Lasers: Applications and Issues, M. Dowley, ed., Vol. 17 of OSA Trends in Optics and Photonics (Optical Society of America, 1998), paper MQ1. T. Y. Fan, “Heat generation in Nd:YAG and Yb:YAG,” IEEE J. Quantum Electron. 29, 1457–1459 (1993). J. Speiser, “Scaling of thin-disk lasers—influence of amplified spontaneous emission,” J. Opt. Soc. Am. B 26, 26–35 (2009). S. Kück, K. Petermann, U. Pohlmann, and G. Huber, “Near-infrared emission of Cr4+-doped garnets: lifetimes, quantum efficiencies, and emission cross sections,” Phys. Rev. B 51, 17323–17331 (1995). M. Sawicka, M. Divoky, J. Novak, A. Lucianetti, B. Rus, and T. Mocek, “Modeling of amplified spontaneous emission, heat deposition, and energy extraction in cryogenically cooled multislab Yb3+:YAG laser amplifier for the HiLASE project,” J. Opt. Soc. Am. B 29, 1270–1276(2012). O. L. Antipov, D. V. Bredikhin, O. N. Eremeykin, A. P. Savikin, E. V. Ivakin, and A. V. Sukhadolau, “Electronic mechanism for refractive-index changes in intensively pumped Yb:YAG laser crystals,” Opt. Lett. 31, 763–765 (2006). M. Born and E. Wolf, Principles of Optics: Electromagnetic Theory of Propagation, Interference and Diffraction of Light, 7th ed. (Cambridge University, 2000), Chap. 2. Fig. 1. (a) Schematic of the experiment setup and (b) the Yb / Cr 4 + : YAG and YAG cap assembly. In the Mach–Zehnder interferometer measurement, a 660 nm collimated semiconductor laser probe beam is used for both the front surface and overall wavefront measurements. BS1 and BS2 are beam splitters. M1–M6 are silver mirrors. A FL = 300 mm lens is used to image the fringes onto a camera. For focus shift measurements, the collimated probe beam is changed to a 1030 nm laser, and the lens is replaced by a FL = 750 mm lens. The camera is scanned to determine the location of the focus. Fig. 2. (a) Measured and (b) simulated 2D temperature distribution in the Yb:YAG slab under 444 W pump power; (c) vertical cut through the center of the pump area under 444 W pump power. (d) Measured and (e) simulated 2D temperature distribution of the Yb:YAG slab under 1010 W pump power. The temperature scale in (d) and (e) is offset respect to that in (a) and (b) while keeping the same temperature span, to more clearly show the temperature variations. (f) Vertical cut through the center of the pump area under 1010 W pump power. In (c) and (f), the blue dashed line is the simulation result, and the red solid line is the measurement result. The direction of cooling flow is from top to bottom for all figures. Fig. 3. Interferometry measurement results for different average pump powers. (a) and (c) are raw data from the front and back surface reflections at 288 W, respectively. (b) and (d) are the corresponding front surface and overall wavefront deformation, respectively. (e) and (g) are the fringe raw data from front surface reflection and back surface reflection at 1010 W, respectively. (f) and (h) are the corresponding front surface and overall wavefront deformation, respectively. Fig. 4. (a) Simulated front-surface-induced wavefront deformation and (c) simulated overall wavefront deformation. (b) and (d) show vertical lineouts of the front surface and overall wavefront deformations, respectively, and their radii of curvature. The red line is the fitting of the parabolic curve. Fig. 5. Comparison of the thermal lens power from the simulation and measurements due to (a) overall wavefront changes and focus shifts, and (b) front surface deformation wavefront changes. (1) ϕ ( x , y ) = 2 ( n 0 − 1 ) · F S ( x , y ) − 2 n 0 · B S ( x , y ) + 2 d n d T · ( T ( x , y ) − T 0 ) L + 4 π n 0 ( n 0 2 + 2 3 ) 2 Δ α · Δ N ( x , y ) l .